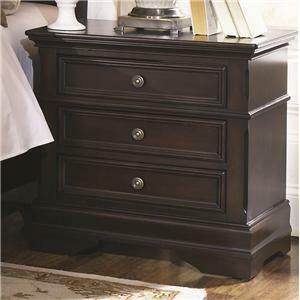 Instill elegant style into your bedroom decor with this classic dresser. 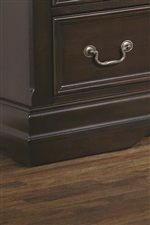 Featuring frame molding and a mix of bail hardware and simple round knobs, this dresser exemplifies traditional refinement. 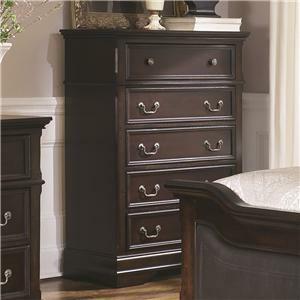 Bracket feet and crown molding at the top of the dresser ensure a beautiful piece from top to bottom. 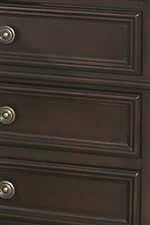 With seven drawers, you have ample space to store clothing, and felt lining in one of the top drawers offers the perfect home for treasured keepsakes. 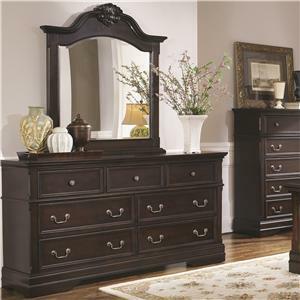 Finished in a rich Dark Cherry color, this dresser provides a stunning blend of warm tones, sophisticated traditional style, and smart storage. The Cambridge 7 Drawer Dresser with Frame Molding by Coaster at Value City Furniture in the New Jersey, NJ, Staten Island, Hoboken area. Product availability may vary. Contact us for the most current availability on this product. Case Construction Constructed from Solid Wood and Okume Veneers. 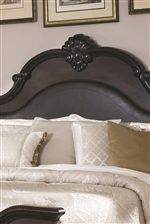 Instill in your bedroom an atmosphere of sophisticated splendor with the European-inspired Cambridge collection. Marked by thick bracket feet, shell carvings, and frame and crown moldings, this bedroom collection exudes timeless grace. Ample storage is provided throughout the collection, with English dovetail construction and special felt-lined top drawers in select pieces offering a safe home for treasured and fragile keepsakes. The collection takes a regal turn with the statement-making bed, which features leather-like upholstered panels and a generous arched headboard. Finished in a rich Dark Cherry color over hardwood solids and Okume veneers, the Cambridge collection captures the dignified tradition and time-honored beauty of European design. The Cambridge collection is a great option if you are looking for Traditional furniture in the New Jersey, NJ, Staten Island, Hoboken area. 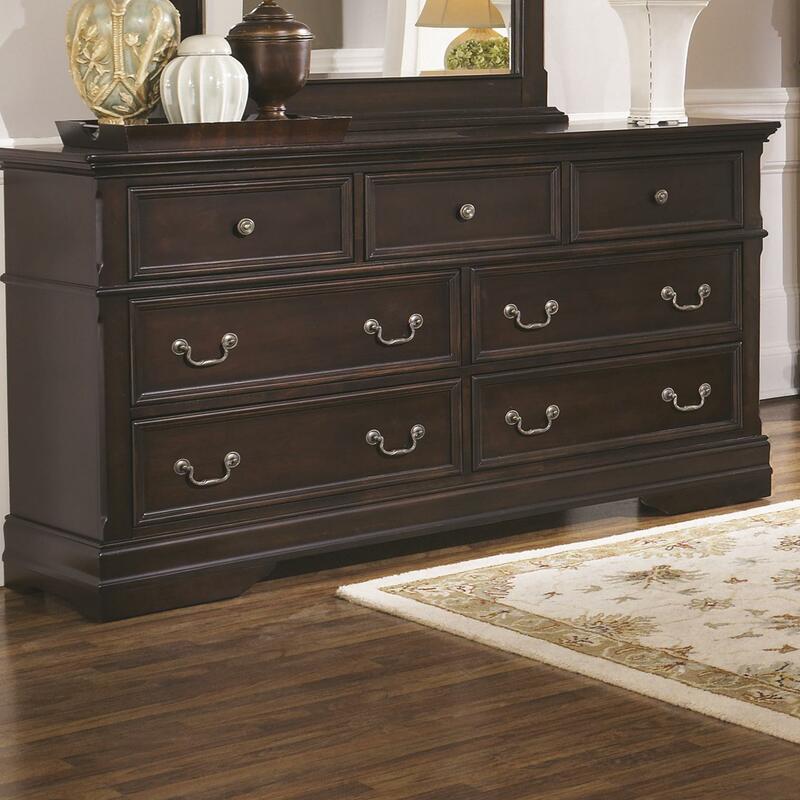 Browse other items in the Cambridge collection from Value City Furniture in the New Jersey, NJ, Staten Island, Hoboken area.